remove street shoes / wear Sky Socks. maintain one person per square. walk onto and off the courts. be in control of your body at all times. master the fundamentals of single-trampoline jumping before moving onto more advanced skills, such as aerials or flips. land on the first trampoline next to the trampoline wall which you bounced off. follow all park rules and Court Monitor's instructions. wear wet clothes or body paint. touch the perimeter netting or top pads. throw balls at another jumper's head or neck area. double flip. Single flips are permitted. double bounce or affect another jumper in any way. push, tackle, race, or engage in horseplay of any kind. attempt any skill or activity outside of your personal limitations, abilities or skill level. jump if you have health limitations, are under the influence of alcohol or drugs, or if you are pregnant. jump without a court monitor present. 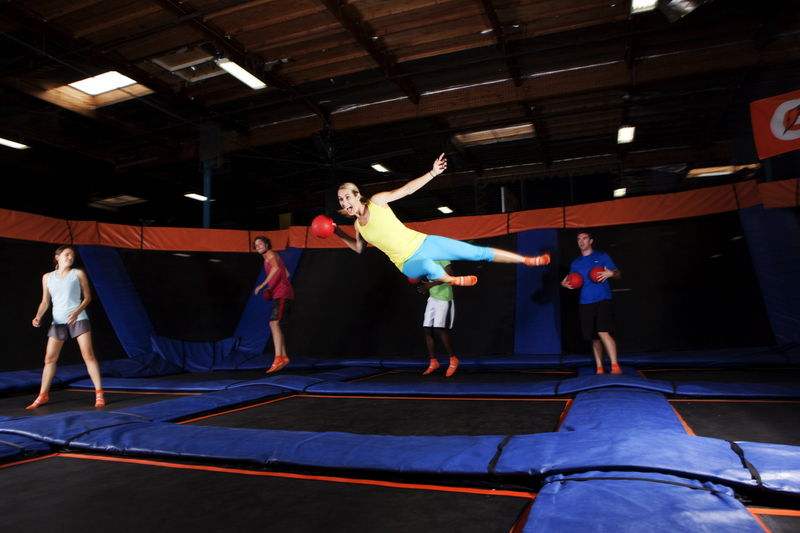 Failure to adhere to any of these or other rules at Sky Zone will result in the loss of your jump time. Thank you for always following our safety guidelines. We want you to have fun and fly safe! Positions at Sky Zone Parker are very competitive. We are seeking team members with fun, energetic personalities that can interact with guests throughout their shift. If you'd like to join our team, fill out an application here! Please fill out and drop off the Donation Request Form to Sky Zone Parker in person, or via E-Mail to Mitch at Mitchwebbsz@gmail.com thank you! We turn off our main lights and turn up the music along with black lights, LEDs, and lasers for an exciting, immersive party event. Live DJ’s, glowing gear and swag, private parties, and more transform Sky Zone into a one-of-a-kind after dark experience. Jumpers must GLOW. Exclusive GLOW shirts can be purchased in the park for $5. Every Friday and Saturday night 7-10pm. Tuesday and Thursday: 10:30am-12:00pm Saturday: 8:30am-10:00am $12 for the first child and $6 for each child in the family after that. AGES 4 AND UNDER.